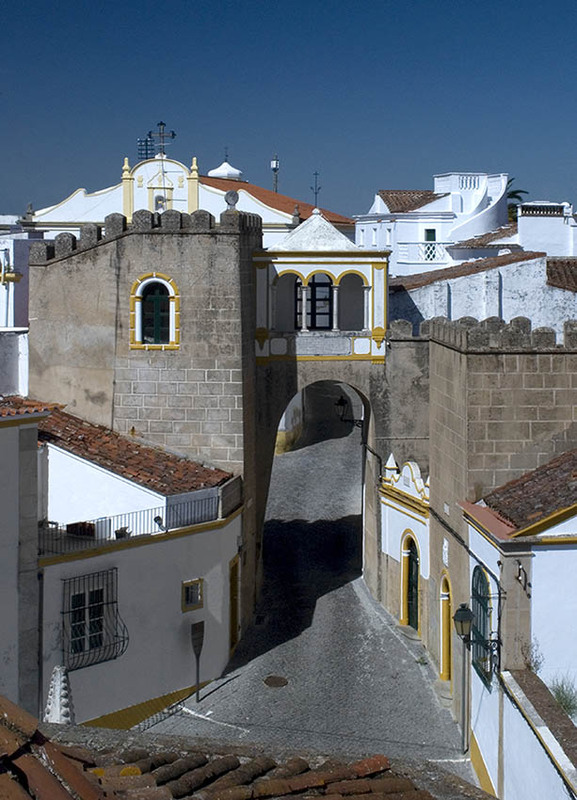 Don’t miss visiting Largo Santa Clara, one of the most iconic places from Elvas while in Alentejo. Largo Santa Clara is a picturesque triangular square in the city of Elvas, surrounded by blazoned noble homes with iron grills. The square is just in front of the Igreja de Nossa Senhora da Consolação Church. The square is located next to an Arab gate from the 10th century flanked by two towers and crowned by a gallery. In the heart of the square stands the “pelourinho” pillory from the 16th century, a tall turning column made of marble, still preserving the four iron arms with dragon heads from which miscreants were hung.